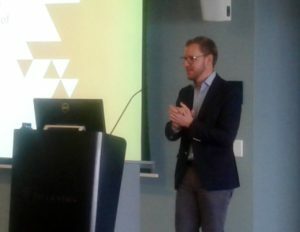 Not only was this an opportunity to connect with enduring partners and funders but also to forge new relationships. 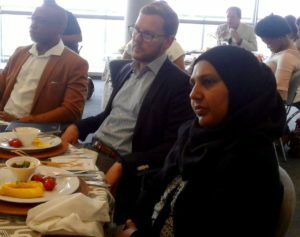 We were honoured by the attendance of our guests, who included representatives from the Department of Education, KZN Treasury, Trade and Investment KZN, the Durban Chamber of Commerce, Dube Tradeport, as well as several other national and local businesses, trusts and organisations – too numerous to mention by name. 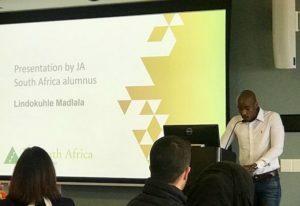 We appreciated having the JA South Africa board chair, JA South Africa board members, a board member from JA Africa, as well as the staff and alumni who joined us, several of whom flew down from Gauteng. 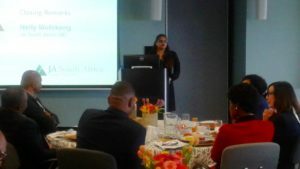 Our MC Thajeshni Gramoney, an alumnus who works for Deloitte & Touche, shared some personal insights about how the JASA programme she attended influenced her. 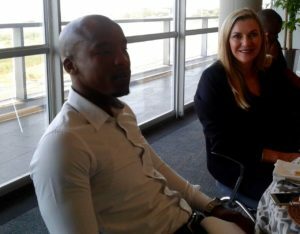 Then Tracy Duncan of Private Banking at Investec kicked off with a detailed overview of the partnership between JASA and Investec. 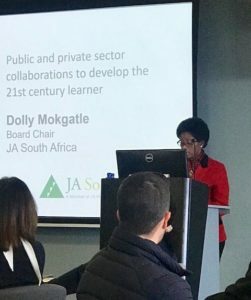 Then JASA Board Chair Dolly Mokgatle gave the keynote address regarding the importance of partnerships between the public and private sector to develop learners who are prepared to join a 21st Century workforce. 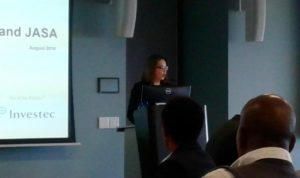 She commented that these days, with developed economies having “reached time out,” they are looking to Africa for new opportunities. 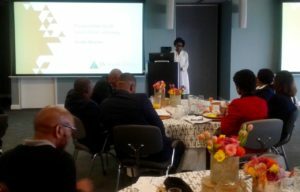 Rather than waiting for foreigners to come in to nurture our talent, we should be supporting our local South Africa’s youth, who represent our “gold.” She stressed the importance of educating young people to be ready for the industries of tomorrow whilst nurturing their capacity for innovation and their ideas. This requires a strategic alliance between the public and private sector. 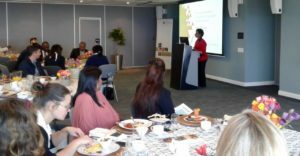 Peter Crawley spoke on the value of partnering with JA South Africa, from the perspective of being a board member and a funder. He is Country Officer for South Africa and the Managing Director of Treasury and Trade Solutions for Citi sub-Saharan Africa. At both global and local level, Citi supports Junior Achievement. 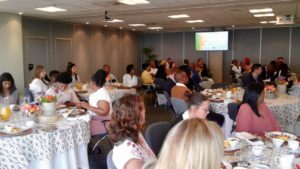 In addition to funding programmes they also host the JA South Africa Company of the Year competition. Crawley mentioned that overall Citi spends eight billion US dollars on tech to ensure the organisation remains agile in our fast moving world of disruptive change. He also commented that though not all young people will become entrepreneurs, corporations need people who think in an entrepreneurial way to innovate and maintain a competitive edge. Guests were served a delicious two-course meal in Investec’s spacious conference room overlooking the sea. 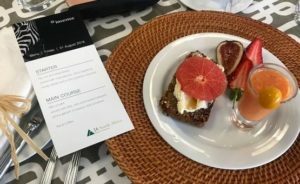 We are particularly indebted to Tracy Duncan and the catering team, who oversaw every detail and ensured that the event unfolded without a glitch, and Shaun Mallanna of Corporate Social Investments at Investec’s Sandton office in Johannesburg. 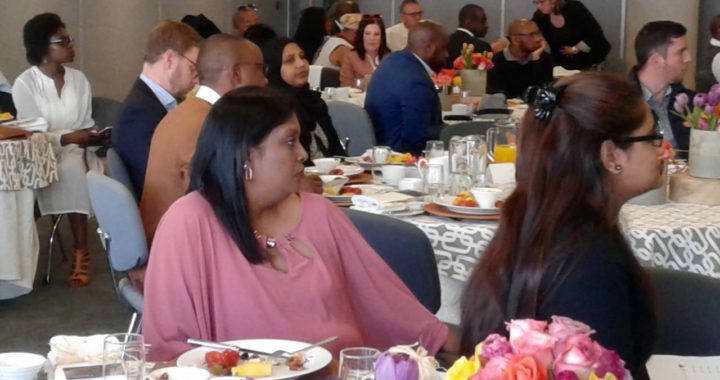 KZN agents Linda Ford and Rosh Rajah, with support from Mpho Mcunu at head office, worked tirelessly in the lead up to ensure all went smoothly. 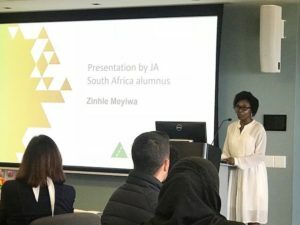 Rounding off the event were presentations by two entrepreneurs and JA South Africa alumni, Zinhle Meyiwa and Lindokulhe Madlala. 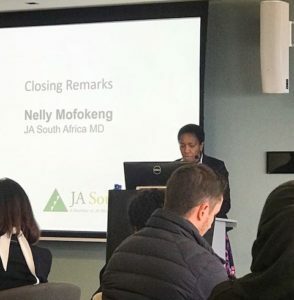 Then JASA MD Nelly Mofokeng gave the closing remarks. JASA has had a presence in KZN for over 26 years. 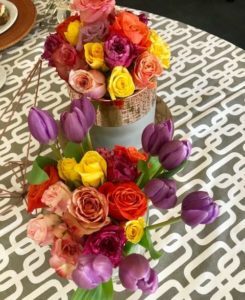 In the past seven years, the organisation has impacted close on 12 000 young people, in primary and high school, as well as out-of-school youth. By extending our network, we will be able to reach more people.